Tempo Driftwood sits well on the Gloss Kashmir fitted cabinets with optional plinth. 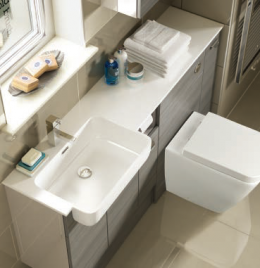 The Largo basin with integrated top surface is available handed to the left or right and fitted to cover the required span of units. 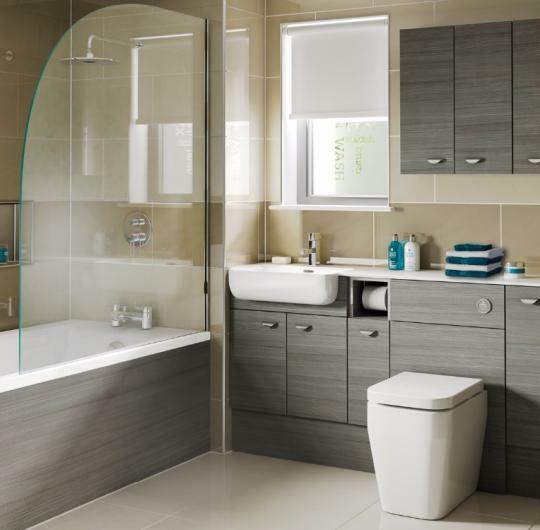 Shown with the HA901 Chrome Tongue Pull handles and matching Driftwood bath panel.